Three Sisters, Anton Chekov’s 1901 classic play, is on at The Almedia Theatre in London. It's about Olga, Masha and Irina who are frustrated with their small-town life especially after growing up for while in buzzing Moscow. When two glamorous military men arrive on the scene it all gets emotional and sexually charged. Other problems get in the way too and the sisters have to take on responsibilities. 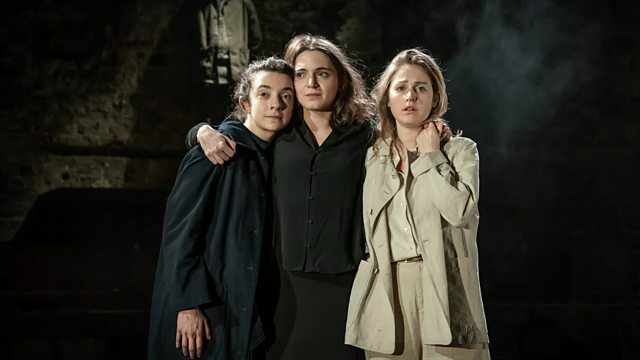 Jenni speaks to Patsy Ferran, Pearl Chanda and Ria Zmitrowicz who play the sisters about how this revival of the play still feels relevant to young women today. Molly Case is a young nurse. In 2013 she achieved national recognition for her poem ‘Nursing the Nation’ which she recited at the Royal College of Nursing Congress. She wrote it when she was a nursing student as a reaction to the criticism of the NHS at the time. That performance at the Congress has been viewed over 400,000 times on YouTube. She’s now written a book called How to Treat People – A Nurse at Work. Jenni talks to her about what inspired her to become a nurse and why she wants to champion their work. It's just 50 days to go until the biggest tournament in women’s football begins: the 2019 FIFA Women’s World Cup. It will be held in France. Today five players who've been shortlisted for the BBC Women’s Footballer of the Year Award have been announced. Sarah Mulkerrins from the BBC World Service joins Jenni to discuss the growing popularity of women’s football and gives her own predictions.